TUA Engineering is a distributor of residential / small establishments reverse osmosis systems, We strive to provide a solution to high quality drinking water for all the family without the hassle of carrying or storing bottled water whereas clean and drinkable water is always available within your home! For every installation of reverse osmosis system, there must be a tapped water supply coming directly from the main supply together with 13 Amp with a 230V/AC supply and finally a drain. Visit our domestic product range and you are free to go through the respective details. Contact us for more information. We are here to offer you a solution to your needs! 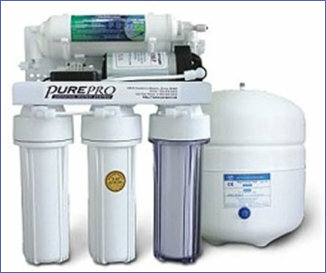 The TPRO range of reverse osmosis water purification systems provide you with safe, good quality and refreshing water. 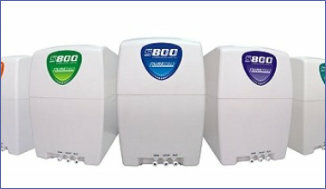 The TPRO 101SV / 101SVH meets all the water quality needs in terms of the removing odour, taste, chemical contaminants whilst guaranteeing fresh supply of water throughout. This system has been designed for easy fitting under the kitchen sink and is provided with a long reach tap for installation on the sink. The 2 models are similiar in appearance, whereas the TPRO 101SVH has all the standard features but it also includes upgraded features such as Filmtech membrane, Danfoss Valve and Upgraded Booster Pump. The S800 is a modern appliance that has been carefully designed with health consciousness, efficiency, high performance and convenience in mind. 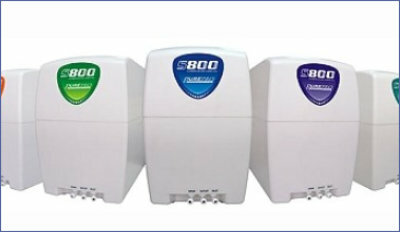 Two models are distributed by TUA Engineering, S800 model has a water storage tank, whilst for the S800 Direct Flow where the water is coming directly from the source and therefore it provides an unlimited flow with the result that there is no need for a storage tank. It is an all in one system, with an economical, friendly, easy to install and easy to maintain solution to your purified water needs. Such system entails a quick change cartridge design which makes the filter changes fast and clean with no contact with the used filter material.